The pictures used by Repjerseys.ru to display its cheap jerseys aren’t that flattering. Each product has only one picture. No additional images are available to show the different parts of the jersey. Plus, the images appear to be copied from several catalogs. This makes me think that the website has several different suppliers that provide those products when the order is placed and not a stock of its own. The problem with this is that delivering to the customer what was actually displayed in the picture is a matter of chance. And the worst thing is that the jerseys do not have a description. 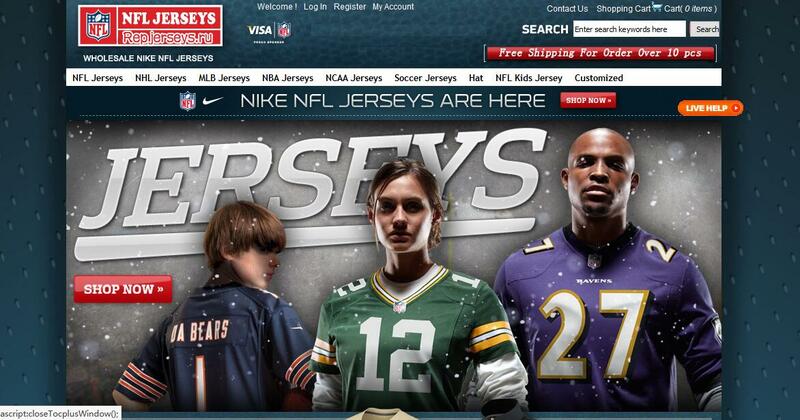 Repjerseys.ru can process orders paid by Visa, Mastercard, Western Union and Money Gram. These are some of the most popular and easy to use payment methods around the globe. It is very important for an Internet shopper to come across a store that offers him the possibility of paying with the most convenient option. 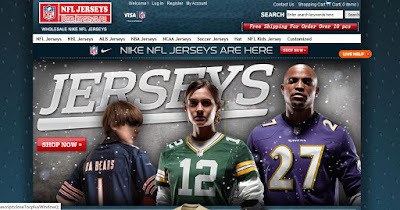 This cheap NFL jerseys website offers free worldwide delivery for orders over 10 pieces jerseys while smaller orders are required to pay a $20 shipping fee. All packages are shipped with EMS and the estimated delivery time is about 10 business days. Furthermore, when the order is dispatched a tracking number will be emailed to the customer so he can follow the package online. Repjerseys.ru isn’t that professional when it comes to its customer services. It does not have a phone number or a business email address. It can be contacted only by tocplus or by sending a message to a Gmail address. I have chatted online with one of its agents, Sharon and even though she was very polite and friendly, it has difficult to talk to her because of her poor English. It is quite obvious that this company is based in China and that communication will always be a huge problem when you order here.